North Dakota Department of Commerce administers Energy Conservation Grants program, which is funded by a one-half of 1 percent of the oil extraction tax deposited in the Resources Trust Fund. 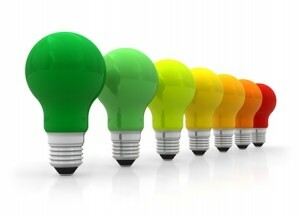 Grants can be used for energy efficiency projects in public buildings. To date, 52 completed projects have received funding, at an average project cost of $32,599. The eFargo program was formed to enter Fargo into the Georgetown University Energy Prize (GUEP) competition in which 50 cities across the United States are taking innovative actions in the way they understand, use, and plan energy use reduction. eFargo’s goals are to reduce overall energy use in Fargo by 5 percent, increase renewable energy use by 5 percent, and reduce the utility bills of Fargo customers by 5 percent. According to calculations from the GUEP, the city of Fargo and its residents have saved $4,823,316 since the program’s inception. Program partners are North Dakota Department of Commerce, City of Fargo, North Dakota State University, Cass County Electric Cooperative, and Xcel Energy. Xcel Energy announced in 2016 a multi-year effort to install energy-efficient LED streetlights in cities and municipalities it serves. This has the potential to cut general street lighting costs by nearly 50 percent by 2030. Photo above shows original street lighting on the left and the newer LED lamps on the right. In addition, several North Dakota buildings and businesses have received the ENERGY STAR label from the Environmental Protection Agency. Click here for statistics on the ENERGY STAR program in North Dakota.